"Surpringly simple, but surprisingly delicious: the dark horse winner of the evening." That's how my husband described these little beauties. They were my favorite appetizers of our recent party. Two ingredients: cherry peppers, and Italian sausage. Despite the simplicity, these little pepper poppers pack a peck of punch. Not heat, but flavor, and color. They're best served at room temperature or even cold. If you serve them hot, the vinegar brine of the peppers is too strong. So go ahead and bring these to the next party. It's a humble little appetizer that packs a lot of flavor without a whole lot of effort. 2. 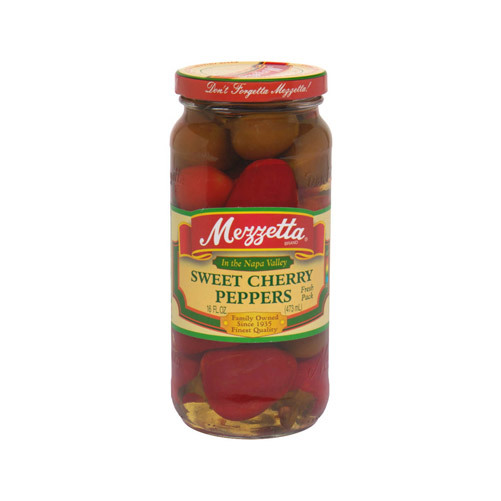 Remove the stems and seeds from the cherry peppers. 3. 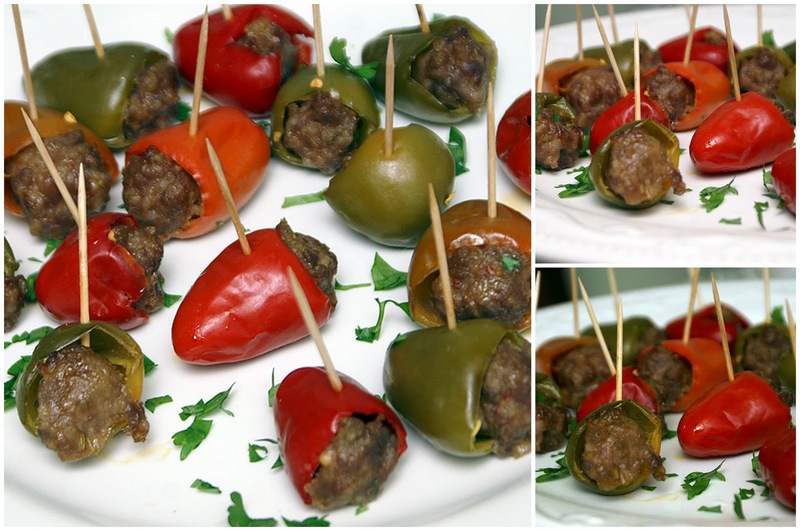 Stuff about a tablespoon of Italian sausage into each pepper (really pack 'em full; the meat shrinks as it loses fat when cooking). 4. Evenly space the stuffed peppers on a foil-lined rimmed baking sheet (they drip, so I wouldn't use a flat cookie sheet). 5. Bake for 20-25 minutes, or until the meat is golden brown. Cool, stab with toothpicks, and serve. Oh, I love those things by themselves..Add sausage, and I am sooo thrilled! I have to try these! I'm giving them a try tonight at my husband's Christmas work party. They look so good! Thanks for the recipe.